Moving house, although an exciting and rewarding project, is not exactly an easy task, especially when you consider the organisation, preparation and meticulous execution required to conduct a stress-free and smooth moving process. From finding the right movers for the job through figuring out what to take with you and what to leave behind all the way to figuring out where to put everything in the new house, a move can prove to be a cumbersome and lengthy chore. To help you facilitate your moving efforts and avoid some common mishaps, here are the essential moving tips you want to take to heart. Just throw everything in a bunch of boxes and you’re done, right? Not by a long shot. While the process does entail packing everything in a bunch of boxes, if you want your move to be quick and painless, there needs to be a plan to it, a strategy that will allow you to pack efficiently. So, first things first, you want to declutter every room in your home in the weeks leading up to the move in order to rid the interior of any extraneous decor, layers and knick-knacks that have accumulated over the months and years. This way, you will not only pack faster, but you’ll avoid cluttering up your new home. When the time to start packing comes (which shouldn’t be two days before the moving date), you want to start the process from the least used areas in your home and work your way through every room until you have packed the high-traffic areas such as the kitchen and the living room. It’s important to stay focused here and pack stuff according to relevance. 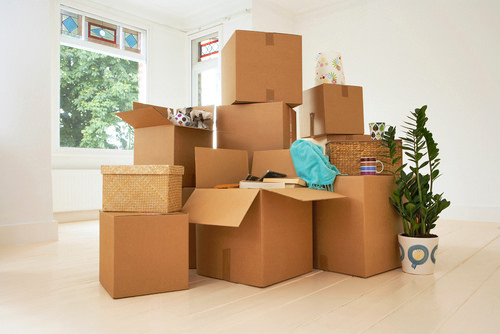 Seeing as how there is no way you can pack every room completely before moving day, you want to pack the seldom-used items first, and then pack bit by bit as the moving date approaches. Doing this will help you avoid digging through boxes to find the blow dryer while still packing up your home well in advance. One of the most important elements of a successful move is ensuring your stuff is handled, loaded, and transported professionally. Moreover, genuine experts such as these removalists from Sydney’s Inner West offer comprehensive insurance for your belongings, which will ensure that your stuff reaches the destination safe and sound. Yes, renting out a truck and driving to your new location is an option, but it’s not a very good one and it will more likely than not end up hindering the entire process. So, make sure you have an experienced team by your side to handle this part of the project. Needless to say, the only thing you should have to do on moving day is, well, move. And nothing else. If you leave anything lying around in the house, if you even forget to empty out the fridge, it will be a stressful chore you’ll have to get to in a hurry and as a result, your entire moving project will stagnate. Instead, make sure everything is packed and ready to go the night before, and the only thing you have to do is to take out the trash before the movers fire up the trucks. Put the necessities you need for that morning in a couple of bags you can load up quickly and put on the truck with the other boxes. AS you can see, moving house doesn’t have to be a stressful chore if you stick to timely planning and preparation. Oh, and one last piece of advice: planning your ideal layout in the new place will help the movers with the unloading process, ultimately allowing you to settle in faster. And there you go, have a great moving day!